Wal-Mart CEO Doug McMillon recently laid out his vision to Millennials for the retailer’s effort to create a “new era of trust and transparency” for customers. McMillon spoke to 2,500 Millennials at the Net Impact Conference in Philadelphia on Friday (Nov. 4). In a 37-minute speech McMillon shared new environmental sustainability commitments in the retailer’s expanded agenda which began more than 10 years ago on the heels of Hurricane Katrina. He said Wal-Mart’s mission to be a more sustainable company is part of every aspect of the business and tied to the retailer’s mission of saving money so people can live better. The three main aspirational goals Wal-Mart set for itself in 2005 have not changed, and McMillon did provide an update on the progress since 2005. Create zero waste in operation. Last year, 75% of waste was being diverted from landfills in key markets. Pledge to be operate with 100% renewable energy. It’s now 25% of operations. Pledge to sell products that sustain resources and environment. 35 million metric tons of greenhouse gases have been removed from the supply chain. McMillon said the progress is notable, but he extended the commitment. He said by 2025, Wal-Mart aims to achieve zero waste in the United States, United Kingdom, Japan and Canada. Across the supply chain the retailer will work with suppliers on packaging and product design. “As it relates to energy, by 2025 we are going to achieve 50% of operations (powered by renewable sources),” he said. McMillon also unveiled a new initiative to become the first retailer with approved science-based targets designed to achieve emissions reduction in its operations and the supply chain. That plan calls for Wal-Mart to reduce its own emissions by 18% no later than 2025. McMillon said Wal-Mart will work with its suppliers to reduce emissions by 1 Gigaton by 2030, equivalent to taking more than 211 million passenger vehicles off of U.S. roads and highways for a year. 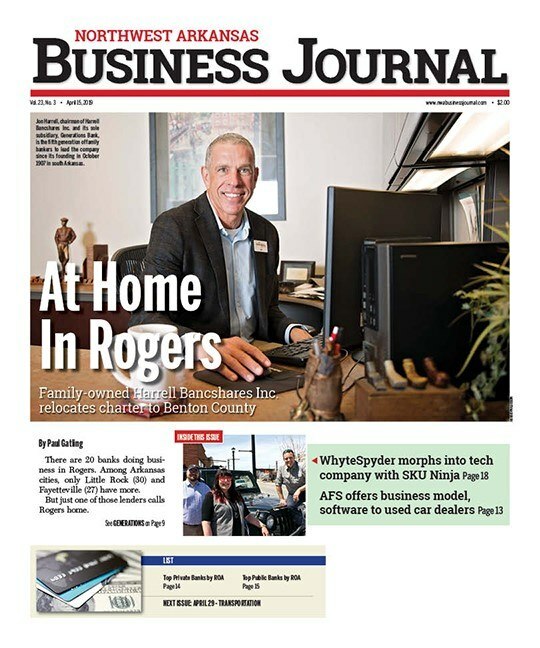 An area McMillon said is exciting is finding ways to bring more sustainable products to customers at entry level prices that “even a student working their MBA can afford,” he said. McMillon displayed a cotton t-shirt that will sell for $3.88 beginning in February. He said this relates to new transparency and quality rules the retailer has set for itself for low costs. “Our apparel team set out to create a more sustainable garment but to do it at an opening price point, the lowest price point we have in a category … and they engineered a shirt,” McMillon said. He said 30% of the water used to make it is recycled, half of the energy used is from renewable sources, and the cotton is traceable back to the Mississippi Delta. “If we can do things like this in opening prices points we can do it in lots of areas,” McMillon said. He said the retailer also plans to achieve zero net deforestation by 2020 in key commodity areas like private label pulp and palm oil and also work on Brazilian soy and beef. “We need our forests and I don’t have to make that case with you,” McMillon told the Millennial audience. 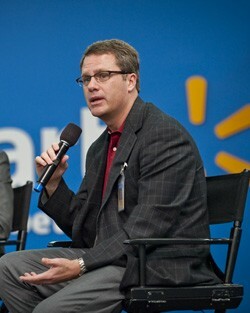 He also said Wal-Mart aims to become the world’s most affordable retailer of safe and healthier foods by 2025. Walmart U.S. will double the amount of sales of locally grown produce by 2025, and will reduce food additives and artificial colors and preservatives in its private label offerings. McMillon said its private label suppliers of pasta sauces, soups and salad dressing will be the first place Wal-Mart will begin in removing food additives. Wal-Mart will also reduce sodium and added sugars and fats in private labels foods and work with branded product suppliers to do the same. “Our private brand items in foods, consumable and health and wellness will have 100% recyclable packaging by 2025. We will start with our U.S. private brands,” McMillon said. McMillon said customers want to know more about the products they are buying and it’s Wal-Mart’s job to make that happen. He said as the e-commerce business continues to grow he has often wondered about the sustainability of sending boxes of just one item ordered online. He lauded Jet.com’s transparency pricing approach as online shoppers fill their carts and select the shipping option they want. The “Walmart at the Crossroads” report said the retail giant’s sustainability efforts were more akin to a public relations play than a program to improve food supply chain conditions. While the report did applaud the more recent efforts Wal-Mart has made to raise employee wages, it also said demanding rock-bottom pricing from suppliers pushes pressure down the supply chain to manufacturing workers and farmers.